Hello! You're on the Projects page. Check out my About page to learn more about me. View my Projects for my past work, or Media for articles and videos where I've been featured. Back in May 2010, I did a pictorial for use in print collaterals. 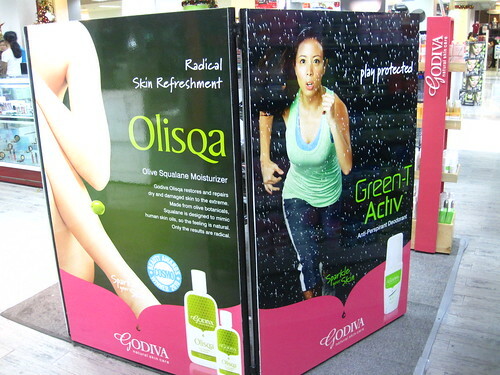 Godiva is a skin care brand sold in department stores and boutiques. Got a craving for R&R&R (rest and recreation and running)? Looking to make your first (or nth) marathon a bit more flavorful? Feast on a grab bag of destination marathons in the Asia region and find one to your taste — all in the January issue of Runner’s World (with running couple Javy and Hannah Olives on the cover). Packed on the pounds over Christmas and New Year? Find out what works and what doesn’t to lose that holiday weight fast! Check out my article in the January issue of Women’s Health (with Lucy Torres-Gomez on the cover). What’s in store for health and wellness this 2011? 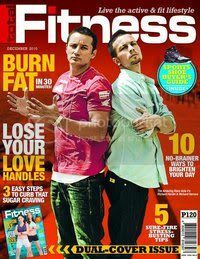 In the January issue of Total Fitness (with a dual cover, one of which is Amazing Race Asia duo Richard Hardin and Richard Herrera), check out my cover story on fitness trends in 2011 — plus my monthly workout article! 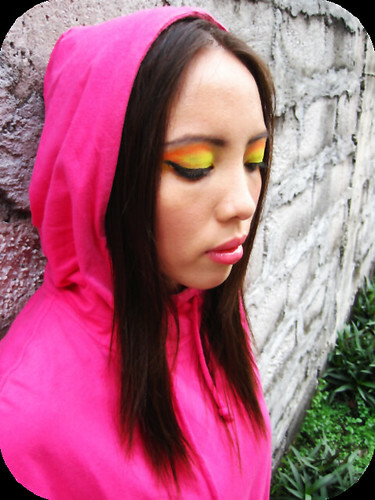 My friend Julia Arenas is a make-up artist and blogger, and she offered to make me over into a Hayley Williams wannabe. Check out her Friend of the Day makeover post on Bless My Bag. Please do check out my designer friend Abby Jocson’s bags on AbbyJocson.com. She featured me in her Everyday Runway section using one of her wonderful bags. 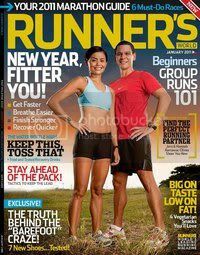 Check out the September issue of Runner’s World (with Iza Calzado on the cover) for the two articles I wrote in it: “Dynamic Duo” on page 5, and “Growing Up with Milo” on page 37. Runner’s World is exclusively available with every Women’s Health and Men’s Health magazine. I interviewed Agot Isidro-Sandejas for the cover article of this month’s Women’s Health. Grab a copy now! I co-hosted the press conference for the 34th Milo Marathon held at the Bayview Park Hotel on Roxas Boulevard. Along with Mr. Lester Castillo, head of PR for Milo, I helped facilitate the Q&A for the press. This is the first year Milo is holding its races for a cause. If in previous years all they were doing was providing venues for developing Philippine running, this year they’re donating 4,000 new pairs of running shoes to children who are in need of footwear. Milo organizers realized, as more people joined their races every year, that there were participants (particularly children) who competed barefoot because they had no shoes. Some beneficiaries will be racing 3K on July 4 sporting their new shoes. Can you spot me in this Havaianas Happy Soles music video? Copyright © Noelle De Guzman 2007-2019. All Rights Reserved. Powered by Wordpress.